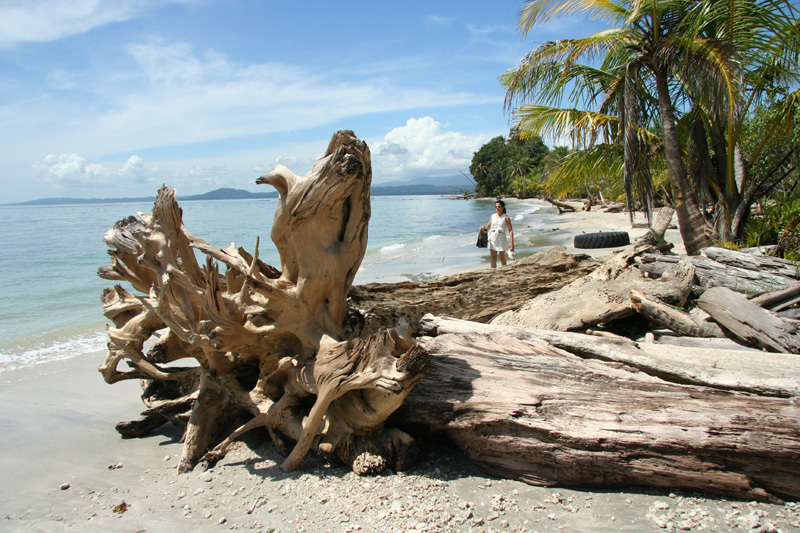 Cahuita National Park is a national park in the Caribbean La Amistad Conservation Area of Costa Rica located on the southern Caribbean coast in Limón Province, connected to the town of Cahuita. It protects beaches and lowlands and attracts tourists and other visitors who are able to scuba dive and snorkel in the protected marine area which contains the Coralline Reefs, as well as being a nesting ground for sea turtles. This is also one of the nicest and least developed beaches in Costa Rica. The reef is known to have at least 35 species of coral, 140 species of molluscs, 44 species of crustaceans, and 123 species of fish. On land there are many types of animal as well including Northern Tamanduas, Pacas, White-nosed Coatis, Raccoons, sloths, agoutis, Mantled Howlers and White-headed Capuchins. It has a variety of birdsas well including the Green Ibis, Green-and-rufous Kingfisher and Keel-billed Toucan.